The point of the AFOQT Test is to not only decipher who will make a great Air Force Officer, but also who has the capacity and fortitude to become a Air Force Pilot or Navigator. The requirements placed on a normal AF officer as compared to a pilot or navigator is extremely different. According to the Air Force, a pilot needs to be strong in aviation information, instrument comprehension and other areas, where as a logistics officer would not. Therefore to help the Air Force find such people, they use a somewhat complex AFOQT Scores system to depict who is better suited for such jobs. It is for this very reason that the test takes the results of the 14 AFOQT Sections and creates five scoring categories to create their AFOQT scores. Each section was designed to test a different area and different skill of the test taker. Pilot: Pilots need to have a strong understanding of chart reading, schematics, aviation and aeronautical conepts. They have to be quick on their feet and respond even faster. It is for this reason that pilots are required to have higher results in the above area. Navigators: Navigators have to be able to be technical, fast and supportive to the flight operations. While they share some of the pilot’s required attributes, they need to be stronger in areas like spatial abilities, perceptual speed and other attributes to help them in the navigational area of their job. Academic: This category isn’t as specific as Navigator or Pilot, but serves to show which candidates have a strong background in fundamental academic knowledge. Verbal: Like Academic this area isn’t specific but goes to show which candidates are strong in literature, English, and grammar. Quantitative: Quantitative isn’t attached to any particular job, but shares a lot of similarities with Navigator. This area is more of a mathematical strength judge and is the opposite to Verbal. Upon completion of the test, you will be given a number (1-99) for each of the 5 sections. This number represents the percentile in which you ranked. So, if you did better than 99% of the other test takers, then you would receive a 99%. If you were average, then you’ll get a 50th percentile. As you can see, its not about how much you know, but how much you know as compared to your peers. This is why it’s incredibly important that you strive to get as good of a grade as possible. You’ll need help and a competitive advantage! AFOQT scoring can be complicated, but just refer to the score breakdown above and the minimum AFOQT scores below and you should be fine. But even if you don’t want to become a pilot or a navigator, you will still need to take the other portions of the AFOQT Test. What Are Good Scores for the AFOQT? Makes sense that the top 15% of test takers go on to become pilots. A lot of people seem to get confused about the AFOQT Officer Training School scores as compared to the others. 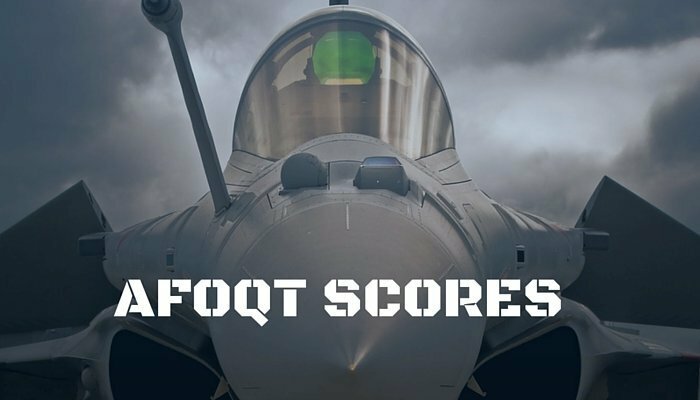 The AFOQT scores for OTS that are required are the same as they are for ROTC and Air Force academy. However, for those attending the AFOQT OTS board, you will need to compete even harder against those who are trying to make it from OTS. Therefore, if you intend to get into one of the programs above, then you will need to achieve as high of a AFOQT score for OTS then others just to stay competitive. For more information on OTS, check this out. So What is a Good AFOQT Test Score? In essence, this answer depends on your goals and desires. If you want to become a pilot or navigator, your AFOQT minimum scores will be higher than others in some sections. While navigators will be higher in others. The best thing you can do to increase your AFOQT scores and achieve a higher chance of being successful is through a AFOQT study guide. These guides will help you get an edge and ultimately provide you with a better chance of beating those peers who didn’t use one. Remember, you AFOQT scores are dependent on how you do as compared to the others who take the test. So, make sure you have that edge and you should do fine. Need Help Passing the AFOQT? 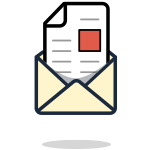 Get tips, tricks and practice test questions in your mailbox now. Congrats! Expect to find some killer tips and tricks in your inbox soon! Need Help Passing Your Flight Test? Military Flight Tests © 2017 All Rights Reserved.